Mondays from 1.30 p.m. to 4.45 p.m.
Tuesdays to Sundays from 10.30 a.m. to 4.45 p.m.
Mondays from 2 p.m. to 4.30 p.m.
Tuesdays to Sundays from 11 a.m. to 4.30 p.m.
Waterlijn reserves the right to cancel departures owing to unforeseen circumstances. This may be the case, for example, with extreme weather conditions or force majeure of a different nature. This route takes you through the historical canals: Kortegracht (Short Canal), Zuidsingel (South Moat), Westsingel (West Moat) and Langegracht (Long Canal). 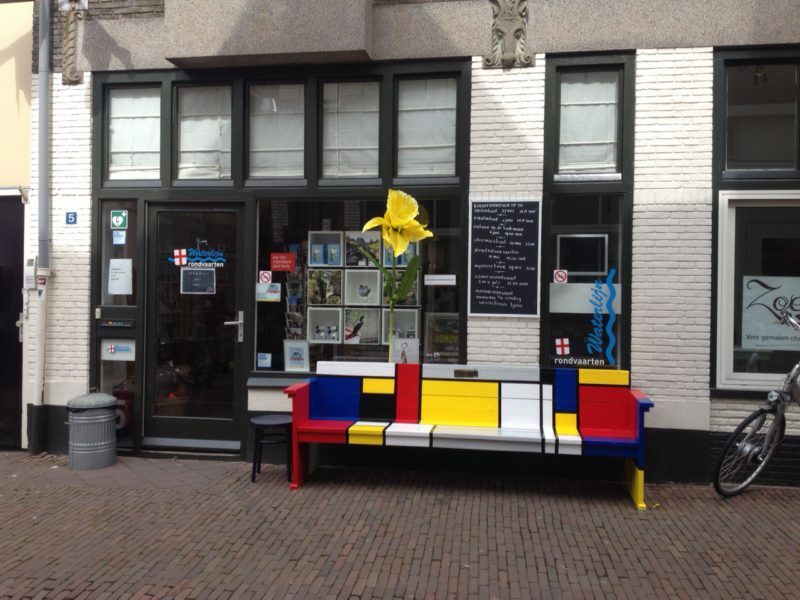 Enjoy the well-known monuments such as the water gate Monnikendam (Monks’ Dam), het Huis met de Paarse Ruitjes (the House with the Purple Panes), ’t Sprengel (=water hoisting device), and Onze Lieve Vrouwetoren (Tower of Our Lady) from the water. 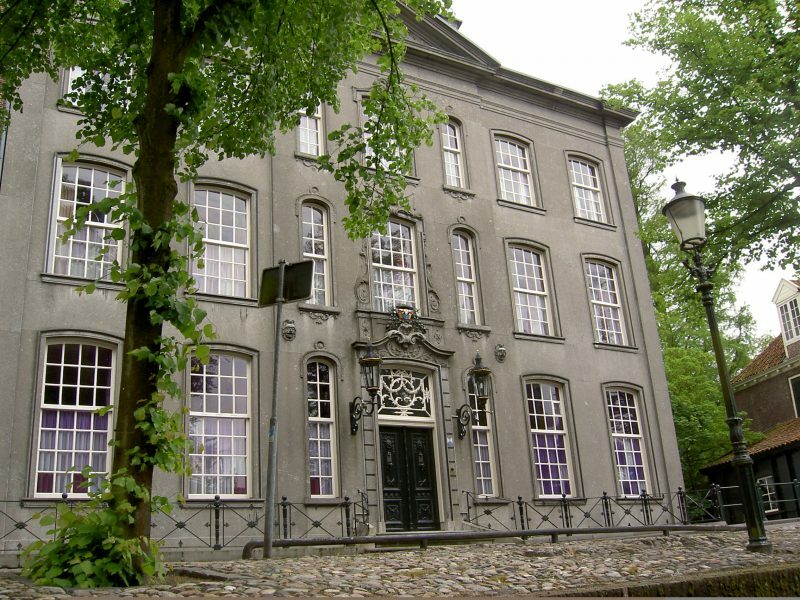 And get to know part of the old town centre and its history. Tuesdays to Sundays 11 a.m.
Mondays to Sundays 4.30 p.m. 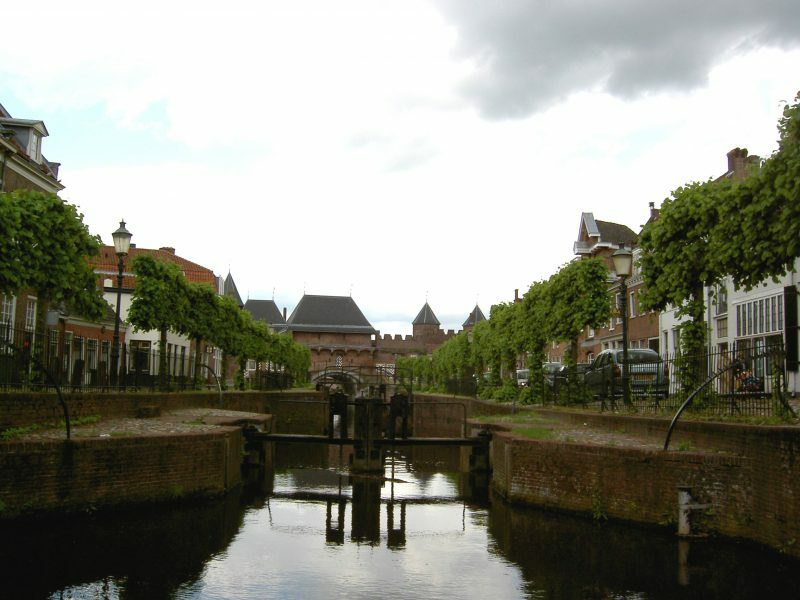 The east route navigates the historical east canal network: Kortegracht (Short Canal), part of Zuidsingel (South Moat) and through the Kamperbinnenpoort (Camp’s Inner Gate), to Weverssingel (Weaver’s Moat). When the boat gets to the end of Weverssingel all on board, including the guide, will have to get out for a ten-minute walk to Havik (Hawk = the ancient harbour). The walk includes a flight of steps. 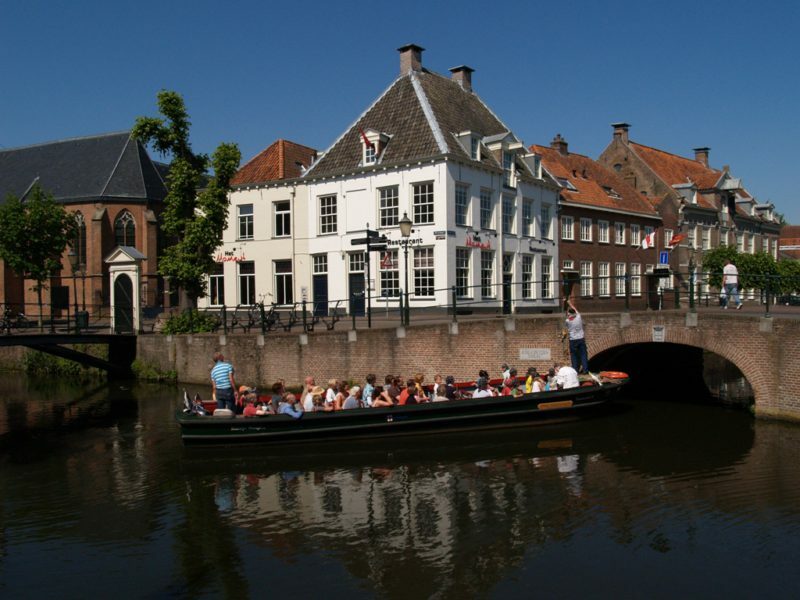 Finally the boat trip takes you to the Koppelpoort (one of the medieval city water gates) and through Langegracht (Long Canal) back to Krommestraat (Crooked Street). The East route is also operated in the opposite direction. This route is not suitable for people with mobility problems.